Over Memorial Day weekend (23-25 May) my family and I spent the weekend along the Delaware shore enjoying the beaches, natural areas, and tourist traps that make visiting the shore such a delight. Our hotel was along the coastal highway less than ten minutes by car from the Cape May – Lewes Ferry, which means it was also ten minutes by car from Cape Henlopen State Park, a marvelous birding hotspot that combines beaches, saltmarshes, and scrub pine forest in perfect proportions for a visiting birder. Both Sunday and Monday mornings I woke up very early and got out into the park before dawn and birded for several hours before the family woke up and got ready to go. 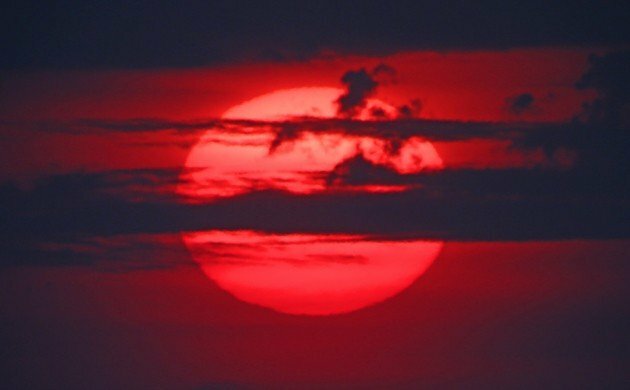 The photo above is the sun just after sunrise on Monday morning, below is sunrise on Sunday. The sunrises alone made getting up, out, and about so early worth it but the birds made it even better. Having never birded Cape Henlopen State Park before I was kind of unsure as to the best place to go, so after entering the park on Sunday morning I pulled over to get my bearings and to figure out what route through the park I should take. The cool air was nice but I had never heard tree frogs making nasal noises like I was hearing from the trees above me. 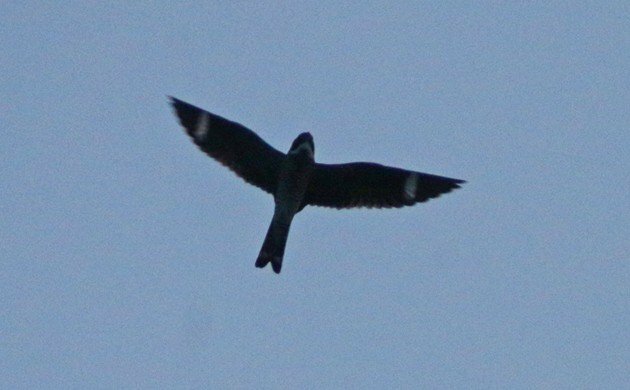 Then it struck me that the noises were coming from well above the trees and what I was hearing was actually Common Nighthawks foraging! Awesome! It’s hard to get good pictures of a fast-flying bird before the sun comes up. This one will have to suffice. Who cares? Common Nighthawk! 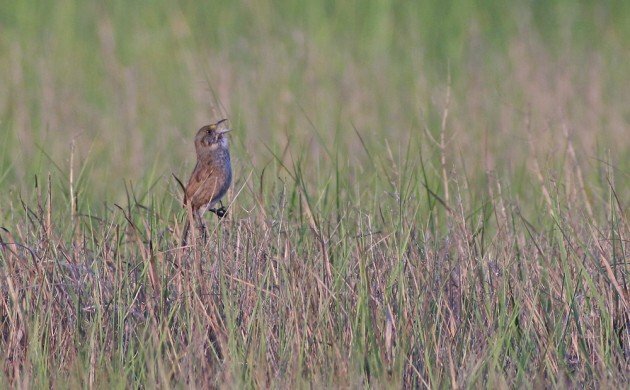 Even better was another nocturnal bird I heard calling, a Chuck-Will’s-Widow that I heard say its own name three or four times before it went to bed for the day. Now this was good early morning birding! After my time with the night birds I made my way to Herring Point both mornings and walked the trail to Gordon Pond, which has a nice elevated boardwalk, popular with cyclists, that extends most of the way there. 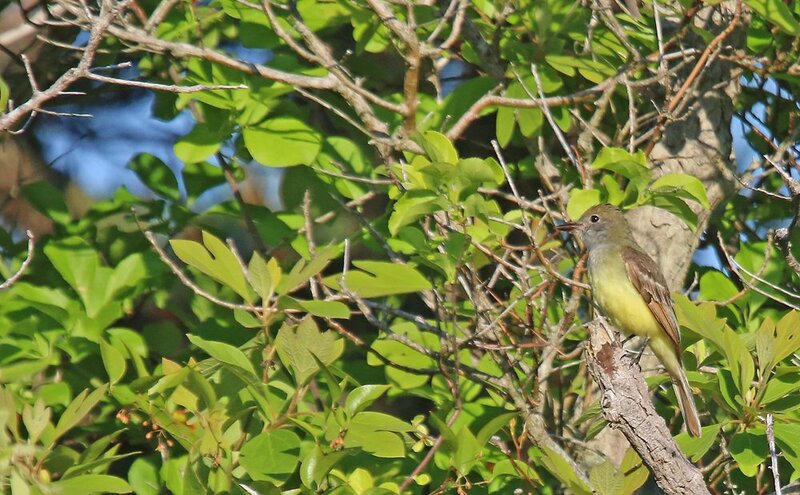 Small numbers of migrant wood-warblers were around, with Magnolia Warbler, Wilson’s Warbler, and Ovenbird being the highlights, though perhaps Ovenbird breeds there. Both Pine Warbler and Prairie Warbler were breeding in the pines for sure, with the former’s trilling song in hearing at the same time as that of the Chipping Sparrow, which was good practice for my ears. 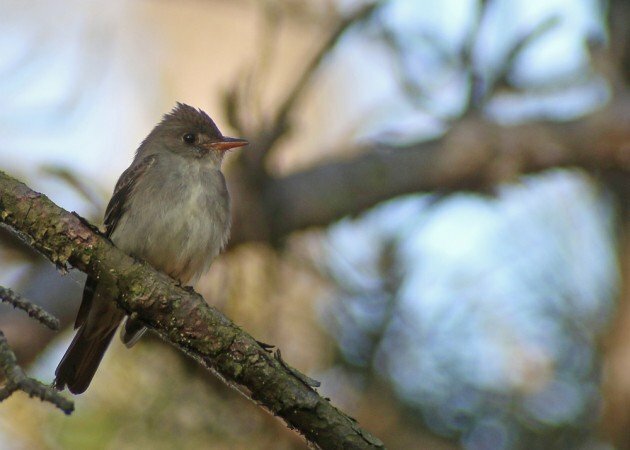 Flycatchers were around in abundance, with Eastern Wood-Pewees “pee-a-wee-ing” non-stop, Eastern Kingbirds chittering all over, and Great Crested Flycatchers making their flatulent calls from the canopy wherever there were broad leaf trees. Oddly absent were any Empidonax flycatchers, which I found extremely odd. I’m used to Willow Flycatchers along the coast in New York, and I had been led to believe that Acadian Flycatchers are common at Henlopen but I never heard nor saw either species all weekend long. The marsh birds more than made up for the puzzling lack of Empidonax though! 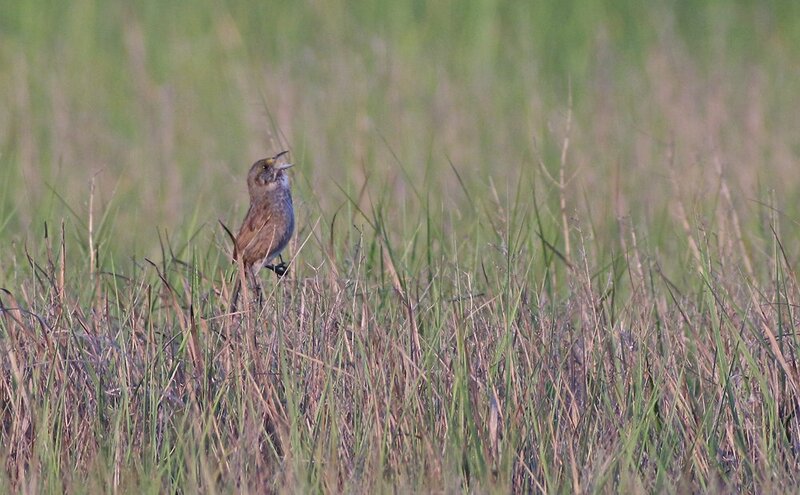 Seaside Sparrows were incredibly abundant in the saltmarsh west of Gordon Pond. 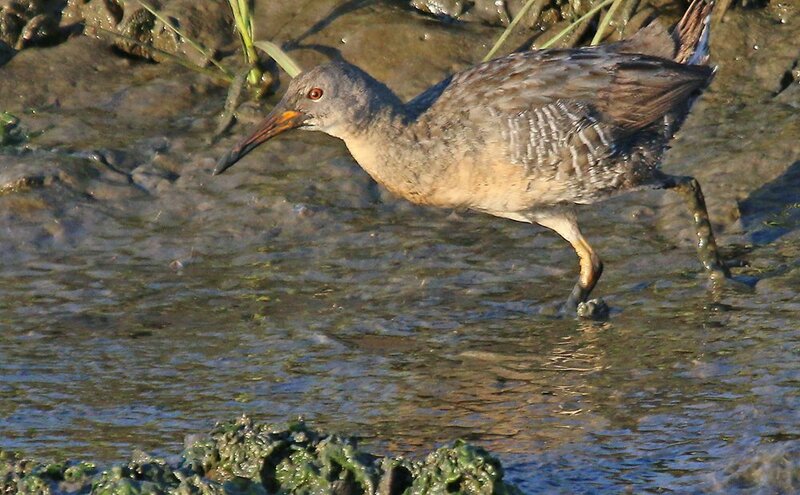 Several times I spent five to ten minutes watching Clapper Rails forage in the open. It was great! 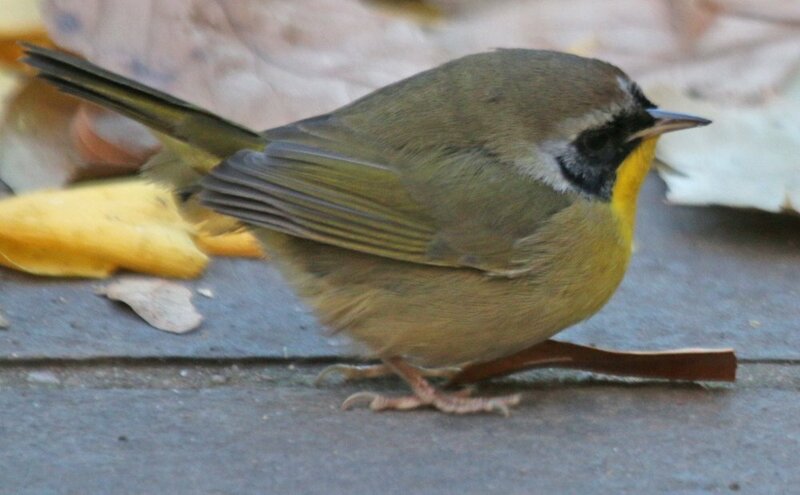 Common Yellowthroats live up to their name at Cape Henlopen State Park. I have rarely seen so many. Shorebirds were around in small numbers as well: I believe most of them were probably out feeding on Horseshoe Crab eggs in better locations. But I saw plenty of peeps and Willets and Semipalmated Plovers, as well as Ruddy Turnstones and Greater Yellowlegs. 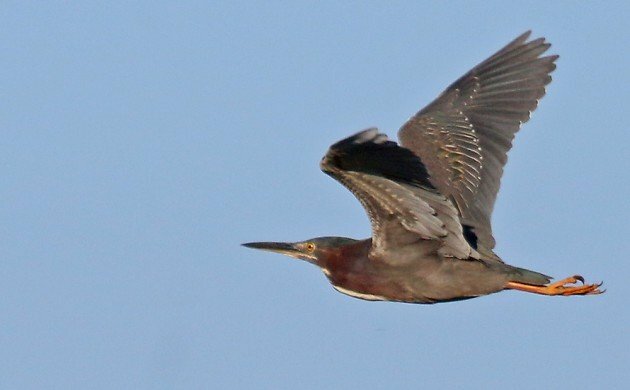 Even better was the ABA Bird of the Year and my spark bird, the Green Heron, of which I saw three each morning. There are few birds as stylish as a Green Heron. 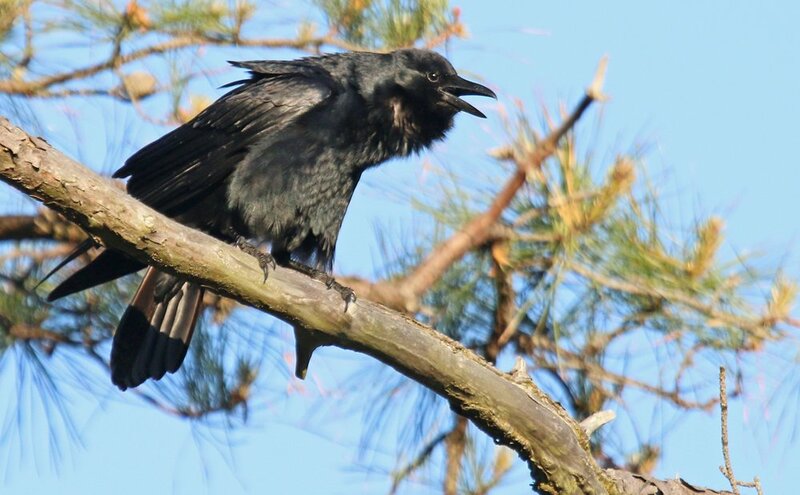 And then there were the birds that made me remember for sure that I was in Delaware and not in New York. Blue Grosbeaks were common and clearly on breeding territory. I wish we got more of them in New York. 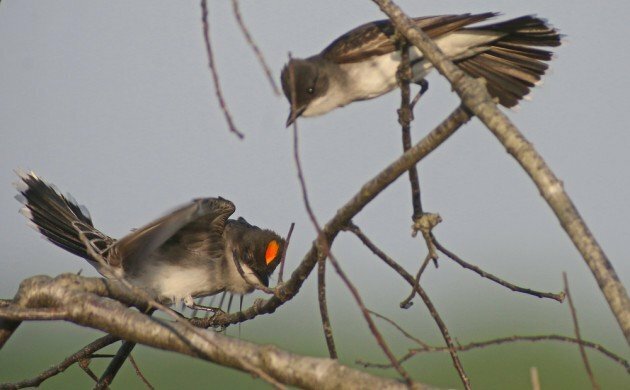 I had a great time watching pairs forage while chipping to each other and was also fortunate enough to watch a border war between two pairs. 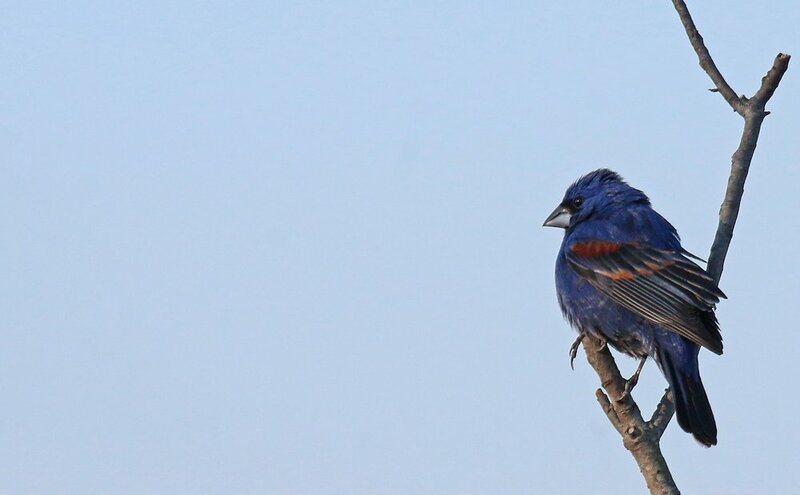 Blue Grosbeaks are pretty. I just wish the sky behind this one had been bluer. 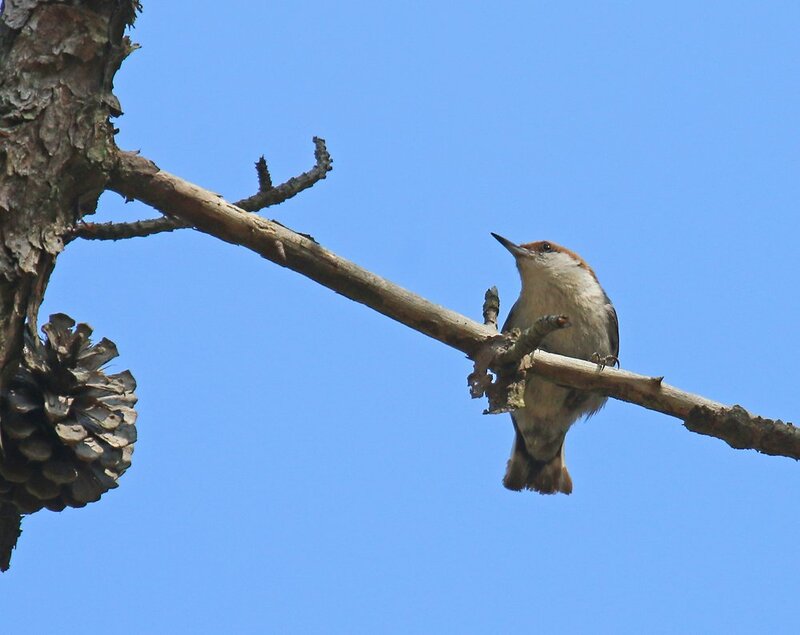 But the bird that most reminded me that I was south of home was the Brown-headed Nuthatch, which I had only seen before in North Carolina and Florida. They sure are a fun bird to watch and their rubber-ducky calls are distinctive and helpful in finding them. I really, really, really, wish we got to see these birds in New York. 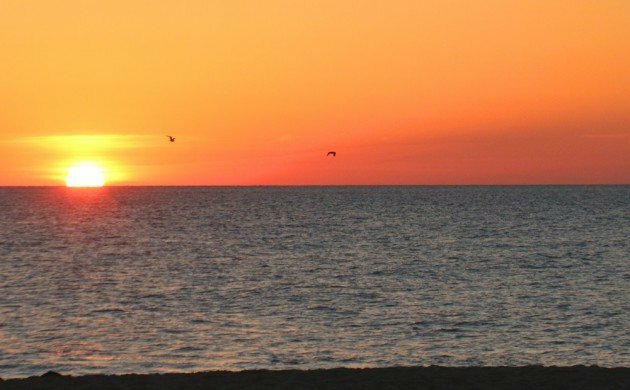 Henlopen is a super birding spot. I also recommend driving along the canal and north to where the road ends–nearly always good shorebirds up there. Indian River,inlet, to the south, is a bood spot too,. I think my favorite DE birding spot is Bombay Hook refuge, about 45 minutes north, just outside Dover.